Smoking in public spaces is prohibited by South African law, as such; airports and other entities are required to have designated smoking areas. At O.R. Tambo International Airport, it is no different. So, what is a smoker to do once they have passed security? O.R. 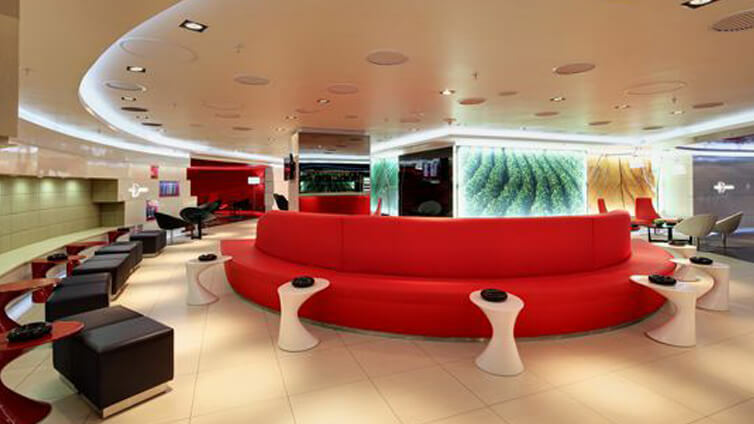 Tambo makes you feel right at home at the Dunhill Smoking Lounge. At 360sqm, the space is comfortable and offers full food and beverage service. Well ventilated and modern, the very up-to-date space is light, with high quality seating and tables, so smokers can enjoy a cigarette without lingering smells. Find the Dunhill Smoking Lounge at O.R. Tambo International Airport, after international security.